I’m currently in an inquiry to more deeply understand the Creating Awareness PCC Markers because I notice that these markers are often missing when I assess coaching recordings, and they are also very relevant for MCC skill level. As an ICF Assessor in the new PCC Marker system, I’m always seeking to understand the core competencies at a deeper level. I want to give my best and clearest understanding to those coaches I mentor toward their next ICF credential, whether that’s MCC, PCC or ACC skill level. For those who know The Target Approach, you’ll know that I consider Creating Awareness to be an “Output” competency. We can’t magically create awareness by saying nothing; awareness emerges as an output of what you are present to, which informs your listening, which informs the types of questions, observations and comments that you offer. Starting with the third maker, which is about the coach sharing what they are noticing, and allowing the client to consider the coach’s input. This is what a coach does in a coaching session. By making observations to the client and seeking the client’s input, and allowing them to explore further. To do this, you often have to shift your attention off the words the client is saying and also pay attention to the tone or feeling that you are noticing. The last example is also a form of Direct Communication. I went back to the draft and started the article again, using some of what I’d written while adding pieces like this. The first two markers are about exploring the client’s learning either about their situation (the what) or themselves (the who). What are you learning about how to handle this situation? What new learning have you had today about writing an article? What insights have you had that will help you to move forward with writing this, and other articles in the future? What have you learned about yourself today? How will you be different as a result of this awareness? How will your approach be different? The fourth marker is about inviting the client to consider how they’ll use their new learning from the coaching. Using the example of writing this article, now that I had awareness that I wanted to feel happy and satisfied, I actually found new motivation to keep writing, because I can assess whether I feel happy and satisfied, or not. I write an article every two weeks, and I was able to recall the many times I felt very satisfied and happy with what I’d written. This fits nicely with The Target Approach where I assert that when the client has an ‘Aha’ or ‘Wow, I just got something….’ or you sense that some new awareness is emerging, then it may be a natural output for the client to then have clarity about what to do next (Designing Actions). Awareness can emerge anytime in the session, so stay present, silent, and allow the client to further unpack their awareness. Then stay connected to the client to sense if this is the right time to invite them to consider actions. e.g. Now that you’ve had that awareness, what, if anything, would you like to do with that? The fifth marker is a more general marker in that the types of questions, comments and/or observations the coach offers, have the potential for awareness to emerge for the client. What has helped you to write articles in the past that have you feel happy and satisfied? How can you use that knowledge? The concept is to ask questions or offer comments that allow the client to dig deeper into their self-knowledge and experiences, including about their beliefs, values, attitude, successes, and/or concerns that might provide insight into either a) how to move forward or b) what needs to be addressed to remove any blocks to moving forward. These markers are all about giving your client the space to explore emerging awareness they are having, and what they are learning about themselves or their situation in the session, as well as allowing your client to consider what they might want to do as a result of that new learning. I invite you to experiment with including some learning questions in your coaching sessions and observe what impact it has on the client. Tailor your questions to your client’s situation. Notice what impact these types of questions have on the client’s level of clarity, and how to move forward. Our next Group/Individual Mentoring Program commences June 13, 2016 and carries 23.5 ICF Core Competency CCE units! Start your mentoring requirements or to obtain CCE units for credential renewal! 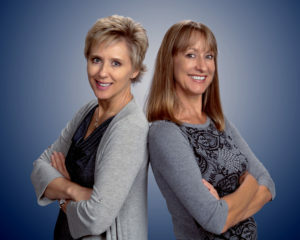 Carly Anderson and Karen Boskemper offer an awesome mentor coaching group and individual program that has many exclusive offerings for our participants. Both have been trained by the ICF to assess using the new PCC Markers. One of those offerings is an extensive library of MCC, PCC and ACC coaching sessions for our participants to listen to, evaluate, debrief, and learn from, along with The Target Approach to demystifying the ICF core competencies. These are incredibly valuable learning tools, and will accelerate your understanding of competency distinctions.